500 x 1 ounce Silver Krugerrand made of .999 Fine Silver in official mint tubes and storage box. Call us today to order. Just after one coin? We sell the 1oz Silver Krugerrand seperately too. 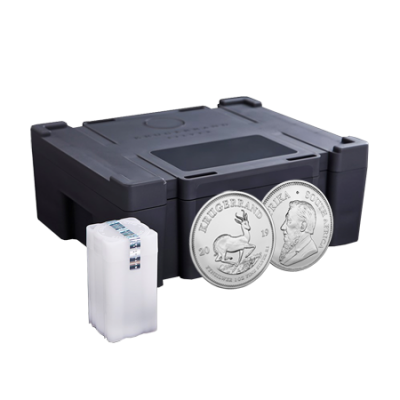 Your 2019 1oz Silver Krugerrand Monster Box (500 Coins) (South Africa) will be delivered to you free of charge and fully insured during transit, in a nondescript package that will not draw attention to the nature of the contents.